In December 2012, in Chisinau, took place the first Awards Edition of Moldova Eco-Energetica. More than 65 applications participated to this very important contest in the period between 1st of July – 20th September 2012 and all these applications were reviewed by experts for deciding the big winners. 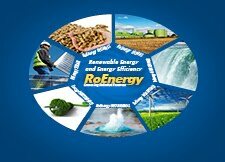 Moldova Eco-Energetica is the most important and also the largest initiative in Moldova regarding the renewable energy. The Awards Ceremony was attended by a large number of officials, ambassadors, ministers, academia and civil society, representatives of international organizations, a total of more than 300 people interested in the future of renewable energy in Moldova. Moldova Eco Energetica is organised by the Agency for Energy Efficiency and the Ministry of Economy on the initiative of Moldova Energy and Biomass Project. The whole event is financed by the European Union and co-financed and implemented by UNDP. This year Moldova Eco-Energetica has 11 winners: individuals, public institutions as well as individuals were declared the “Champions of the Eco-Energy Sector of Republic of Moldova”.